So far no international classification for hotels exists, but that hasn’t stopped ambitious hotel marketers from slapping any number of stars, diamonds, and cacti on their properties and touting them as 5 or 6 or even 7-star properties, whatever that may mean in real service and amenities. 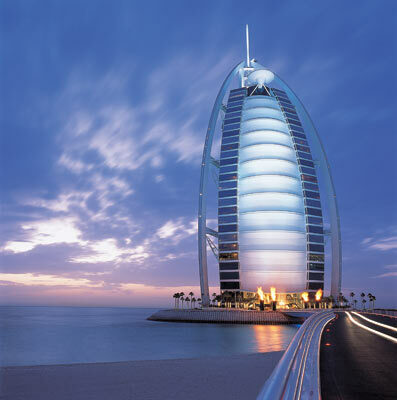 I think the ratings inflation trend began with the Xanadu-like building frenzy in Dubai, especially with the luxury hotel, Burj Al Arab (Tower of the Arabs), built on an artificial island and billed as a 7-Star stay…by the the Dubai government’s Development and Investment Office. Ironically, of course, savvy travelers are saying bye to Dubai, as the country staggers from overbuilding and a declining economy. Wikipedia says there are only three seven-star hotels in the world (Town House Galleria in Milan; the Burj and Emirates Palace in Abu Dhabi), but that hasn’t stopped Drake and Cavendish Luxury Hotel and Travel Guide from publishing its list of Six Star hotels, and here’s when we say this is hotel rating inflation bordering on fraud! We’re told, though we can’t confirm it, that one so-called six-star resort, actually offers a poolside valet to polish the sun glasses of guests and eliminate all that pesky poolside humidity. But a Mobil Travel Guide official told us that when you achieve 5 stars that’s perfection. Forget the other hype he said. Which raises questions about consumer reviews. Of course I’ve never been, but travel sleuths who checked out many so-called 6 star wannabes found most of them didn’t even warrant 4 or 5 stars. Smart travelers need to demand that a property meet or exceed its claims and pay attention to the basics: exceptional customer service regardless of the number of stars. Give value for cost and hold the property responsible for its claims. That’s the only way to keep a property honest, and fight creeping Six or 7 Star inflation.